Are Metals to Blame for Your Children’s Behavior? One of the biggest concerns for any mom is that her children are getting the proper nutrition so that they can be healthy and happy. After all, that is what moms everywhere want for their children. However, what your child is eating may be causing some behavior problems according to some recent studies. Research from Dr. Neil Ward of the University of Surrey has found that there is a link between excessive amounts of certain metals in food and aggressive or anti-social behavior in children. Since children’s brains and bodies are still developing, these metals could be causing conditions such as autism, anxiety, and depression as well as learning disabilities. The strong associations between what children are consuming through their food and behavioral problems have been scrutinized for several years. Back in 2011, the Food and Drug Administration (FDA) investigated the link between hyperactivity in children and artificial food dyes. 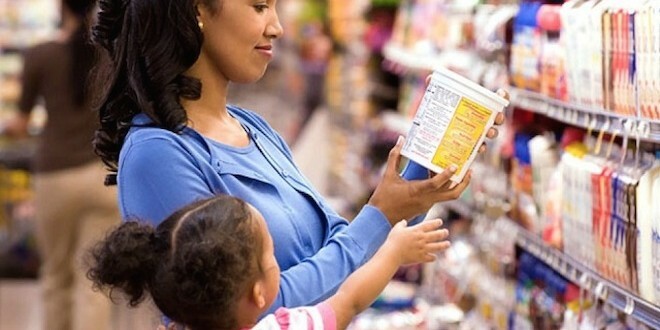 These substances are used by manufactures to enhance the color of processed foods, yet there was a real concern that these dyes were linked to ADD and ADHD. There have also been concerns about links between the chemical bisphenol A (BPA) found in tooth fillings and social problems, depression, and anxiety in children. Our bodies need some small amounts of trace metals like copper, iron, zinc, and magnesium. In high doses, however, they could be fatal or cause nutritional deficiencies of other substances. For example, a high dose of magnesium has links to high blood pressure and nausea. Moreover, there are some metals that have no health benefits and actually act to block nutrition absorption in the body. High doses of lead have long been linked to health problems. Dr. Ward states that high levels of lead may be associated with violent behavior, juvenile delinquency, and reduction in IQ scores. Other metals of concern that could be in food are mercury, aluminum, arsenic, and cadmium. Harmful metals can get into our food by a variety of ways. Some of them are just naturally-occurring substances that are already present in soil, water, and the air. Food can be contaminated just by normal production activities such as farming. Often, these substances get into our food by during the processing step by food manufactures, and they are occasionally added by pollution. The levels of harmful metals build up in our bodies over time from consuming tainted food and water. So what can moms do about this? Eating healthy is the best way to keep children from ingesting harmful levels of metal. If possible, wash your food before consuming. This is especially important for fresh fruits and vegetables. There is also an abundance of organic and locally produced foods available today. Ensure your child’s health and happiness with a well-balanced, varied diet.